Just as the construction workers realized what was happening above them, the hawk let the puppy go, sending him careening down to the ground. 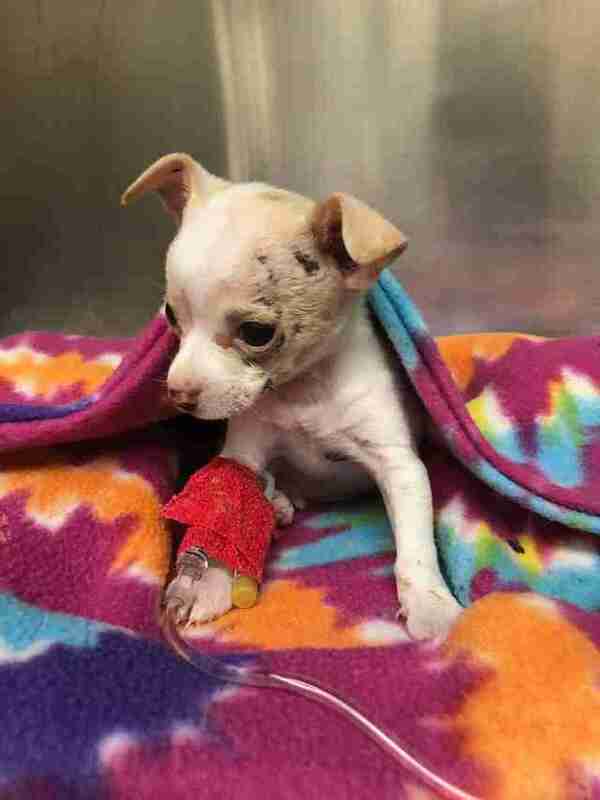 The construction workers immediately ran over to where the Chihuahua puppy had fallen, scooped him up and rushed him to the nearest veterinary practice, crossing their fingers that he would be OK. 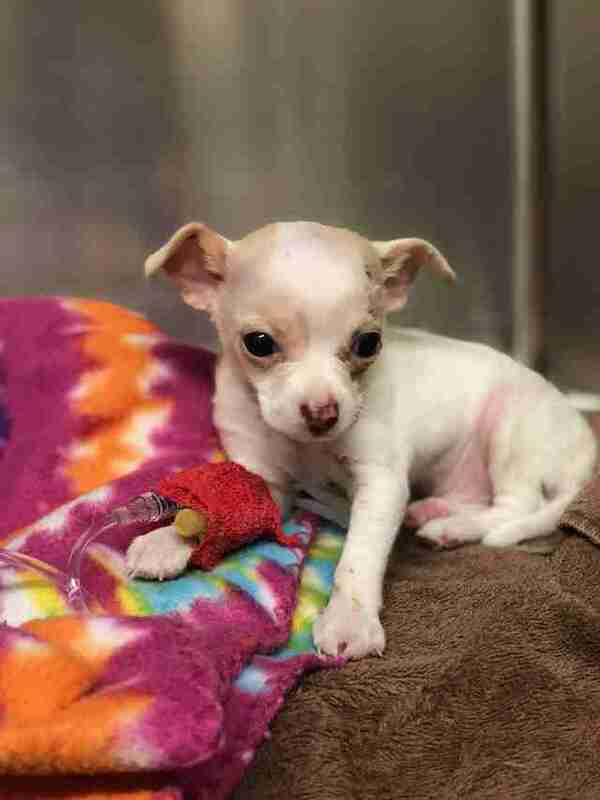 Since he wasn’t microchipped and no one stepped forward to claim him, the puppy was transferred into the care of Austin Animal Center (AAC). 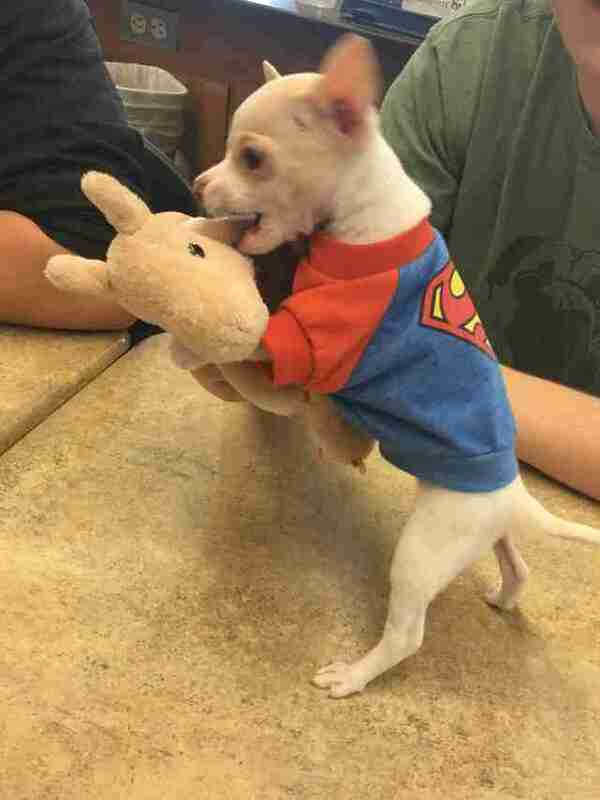 As soon as he arrived at the shelter, everyone was shocked by the puppy’s incredible story, and took to calling him “Miracle Puppy,” because the fact that such a tiny creature had survived such a massive fall was truly a miracle. The little guy was only 6 weeks old, and after everything he’d already been through, all he wanted was to be loved by his new shelter friends. Everyone at the shelter later decided to officially name the puppy Tony Hawk. 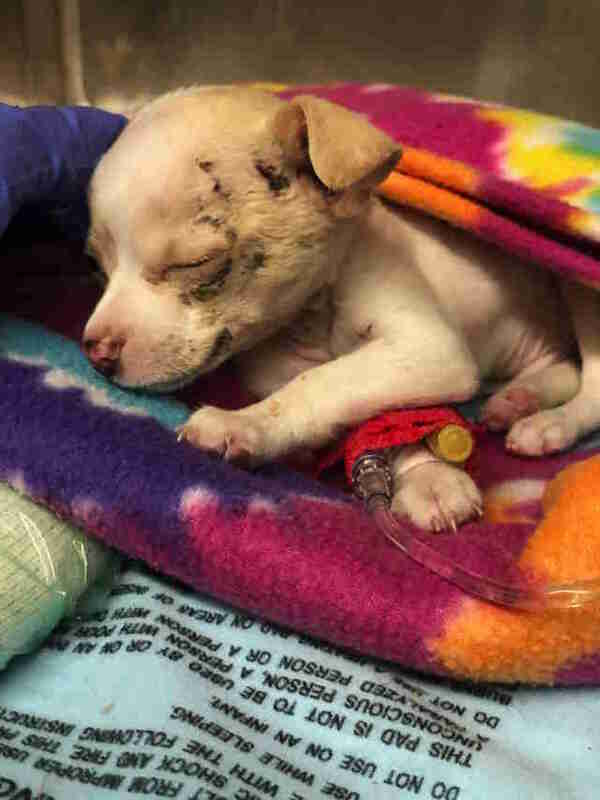 Despite his huge fall, Tony only sustained a few minor cuts on his head and chest, and his rescuers were all so delighted when they realized he was going to make a full recovery. It’s still a mystery as to where Tony came from — whether he was a stray who’d been born on the streets or someone’s puppy who’d been scooped up from a backyard. Regardless, his shelter family is glad he found his way to them, and they are thrilled that he’s doing so well now. 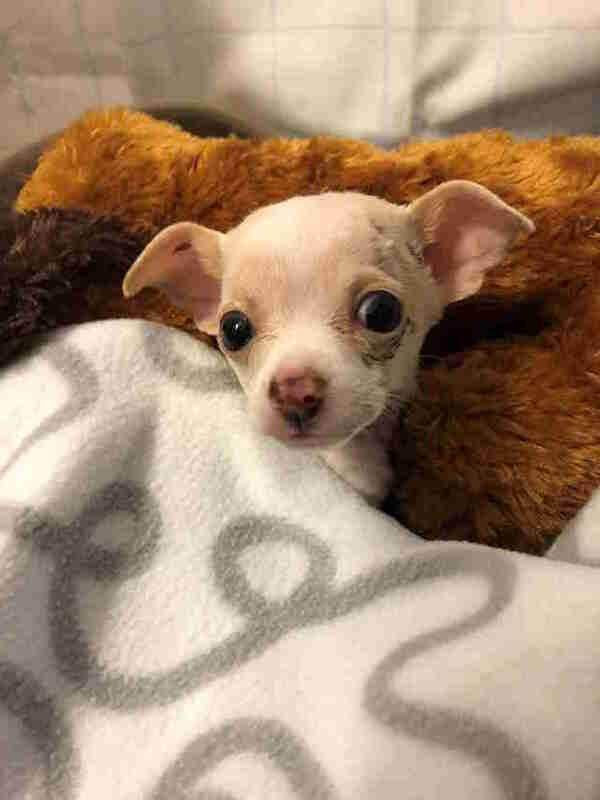 He’s staying with a foster family until he’s old enough to be neutered, and then the shelter will set about finding him the perfect forever family. Tony may have had a rough start to life, but that hasn’t affected his sweet nature or bubbly personality, and his shelter friends know he’s going to make the best furry addition to a very lucky family. To help other animals in need, you can donate to the Austin Animal Center.